Nintendo's follow up to its biggest selling game of all time, Wii Sports Resort is sure to be one of the highlights of its E3 press conference next month, with the latest news that the game includes both golf and ping pong mini-games. 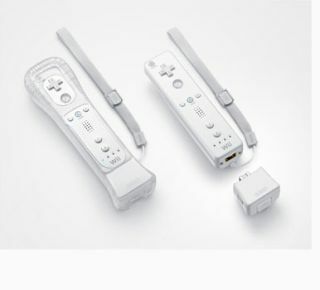 The news comes straight from Nintendo's homeland, where a Japanese TV commercial for its new Wii MotionPlus controller shows off both of the new golf and ping pong games for Wii. Wii Sports Resort is out in the UK on 24 July, bundled with the new Wii MotionPlus add-on. Pricing and further details on the games content will no doubt be revealed out in LA early next month. Alternatively you can also pick up a Wii MotionPlus dongle alongside Sega's Virtua Tennis or EA's latest Tiger Woods Golf game or its new Grand Slam Tennis game – all of which release later next month. It is looking like responsive motion control is going to be one of the dominant themes of E3 2009, with both Sony and Microsoft rumoured to be unveiling motion control peripherals out in La La Land. TechRadar will of course be on the ground keeping you abreast of all the major news from the press conferences and the show floor.